The House late Tuesday voted to expand the investigative powers of the 72 inspectors general, including subpoena power over current and former agency officials and contractors—under certain conditions, where access to agency documents is currently blocked due to privacy considerations. The Inspector General Empowerment Act (H.R. 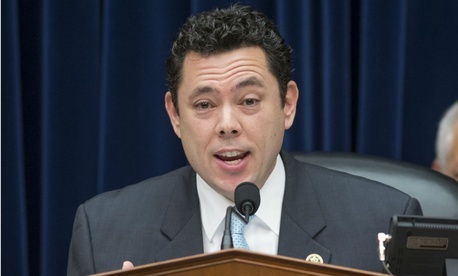 2395), introduced in May 2015 by Oversight and Government Reform Committee Chairman Jason Chaffetz , R-Utah, was pushed in the previous Congress but did not become law. The bill would grant inspectors general subpoena authority to compel the attendance and testimony of certain witnesses in investigations of fraud or waste in excess of $100,000, or in criminal cases. Permission, however, would be required first from a subpoena panel, comprised of three inspectors general in the Council of the Inspectors General on Integrity and Efficiency. Once notified of that panel’s intentions, the Justice Department would make a final decision. The bill would also allow watchdogs to compare, through a matching program, federal records with other federal or non-federal records, while conducting an audit or other review to identify weaknesses that may lead to waste, fraud, or abuse and to detect improper payments and fraud, according to a Congressional Research Service summary. “This authority is not restricted by privacy protections in the Computer Matching and Privacy Protection Act of 1988,” it said. The IG council and some lawmakers for months have feuded with the FBI and Justice Department Office of Legal Counsel, who argue that some documents must be shielded under privacy laws and for national security reasons. A similar bill, S. 579, introduced and amended by Senate Judiciary Committee Chairman Chuck Grassley, R-Iowa, another backer of expanding IG powers, is premised on the argument that the 1978 Inspector General Act authorizes each watchdog to access “all records” in their agency’s possession in the conduct of an oversight investigation or audit. The House-passed bill, in addition, would charge the IG council with reviewing and mediating any disputes involving the jurisdiction of more than one federal agency or entity. That council’s Integrity Committee, on receiving allegations of wrongdoing, would be required to launch and complete an investigation within six months. The IG Council’s Integrity Committee would get authority to investigate an allegation of wrongdoing against the Special Counsel or the Deputy Special Counsel (officials at the Office of Special Counsel appointed to investigate prohibited personnel practices and governmentwide waste and abuse) on the same basis as an investigation of an allegation against an inspector general. The bill would also require the Government Accountability Office to study prolonged vacancies in IG offices. And it would require public disclosure of any finding of misconduct, including any violation of federal law or agency policy, by any member of the Senior Executive Service, an employee excepted from the competitive service, or certain commissioned Army officers.